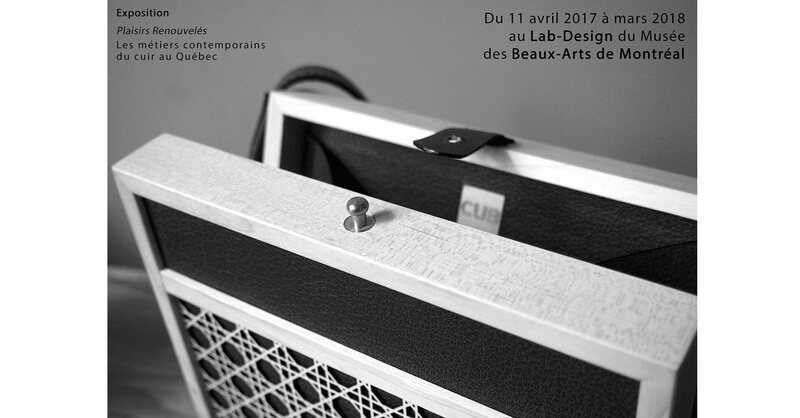 Atelier C.U.B has the opportunity to participate at the exhibition in the Lab-Design of the Montreal Museum of Fine Arts from April 2017 to April 2018. Art and technique are often inseparable, and artisans’ expertise is a vehicle of artistic potential, as shown by the mainly one-of-a-kind pieces in this exhibition. Within the context of a sustainable economy, these natural and durable leather objects curb waste and overconsumption. Furthermore, the skill and enterprise of their makers have made a mark beyond Quebec’s borders.